The RNLI is one of the six charities nominated in the original trust deed. Over the past twenty years more than £400,000 has been donated by the Trust towards a variety of projects including the development of lifeboat stations and the training of crew. Our support has also included funding of the Macduff lifeboat Lydia Macdonald which has been in service since 2006. In the past 5 years, Lydia Macdonald has been at sea, either in rescues or in crew training, for almost 2,000 hours, in all weathers and at all times of day or night. 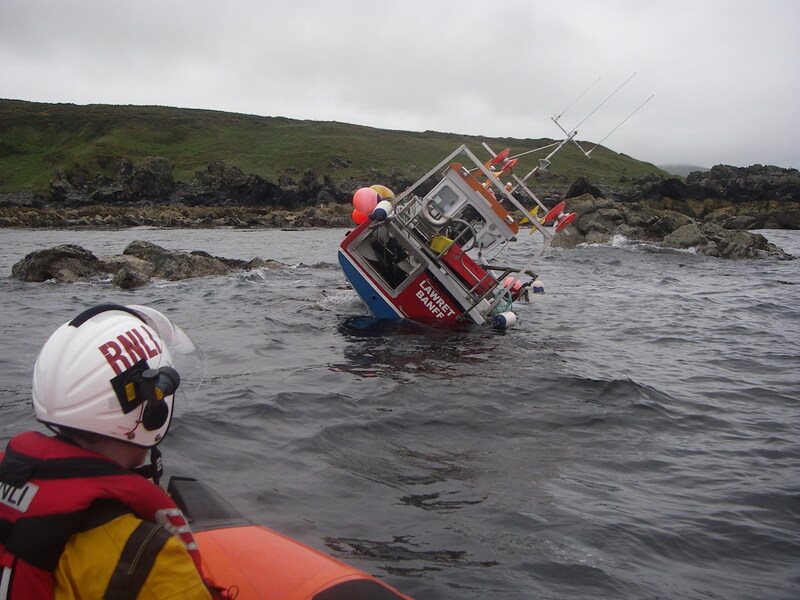 Recently, on Father’s Day 2015, RNLI lifeboat Lydia Macdonald headed up a multi-agency mayday call from a stricken fishing vessel. Lydia Macdonald was the first on the scene, finding the fishing vessel lying on her side being buffeted by the water. The fisherman was rescued, and three crew members went aboard the stricken vessel to try to make it water tight and pump the water out. As they were aboard, the lifeboat crew had to be evacuated, moments before the boat came off the rocks and started to sink. This is just one example of the heroism of the volunteer crew who give up their own time to save people in need at sea.